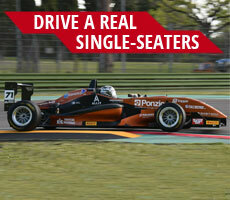 The “Ettore Bonara"racetrack, known also as “Franciacorta racetrack”, is one of the circuits on which the Puresport racing school organises corporate and team building events dedicated to sports cars and high speed enthusiasts: it is particularly suitable for events, meetings, conventions and expos. Thanks to Puresport, you can live the dream of driving a real sports car, such as a Ferrari F458 “Italia”, Ferrari F430 or Lamborghini Gallardo on a real competition track! The Puresport racing school, with a long-standing experience in the design and creation of corporate events and awards, supplies its own team of trainers, mechanics and telemetry operators for unforgettable day, full of adrenaline and entertainment. 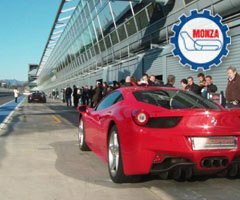 The Franciacorta circuit is located in Lombardy and is very easy to reach. It covers an area of 500 thousand sq m and is the perfect setting for team building and incentive events as well as corporate entertainment, such as conventions, corporate dinners and parties.